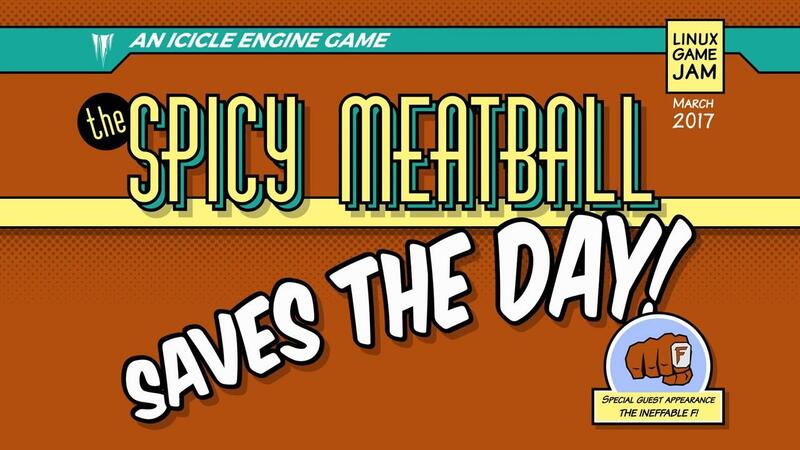 After many long months, I'm very happy to present the re-launch of The Spicy Meatball Saves The Day, a lightly comedic text adventure with first person mouselook style controls along with a snazzy new trailer. Take on the role of The Spicy Meatball, a superhero who gets distracted by a house fire on their way home from fighting crime. 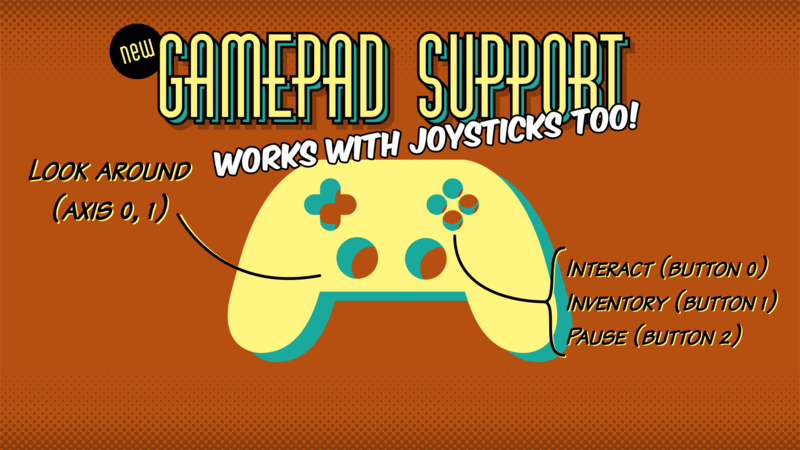 In lieu of an in-game gamepad/joystick bindings screen, here's a quick rundown on controls. Note that this feature is super new and hasn't been tested across many devices. If you hit any hurdles or unexpected behaviour, let me know! Whoa Cheese, I guess I'll be replaying this little gem soon. 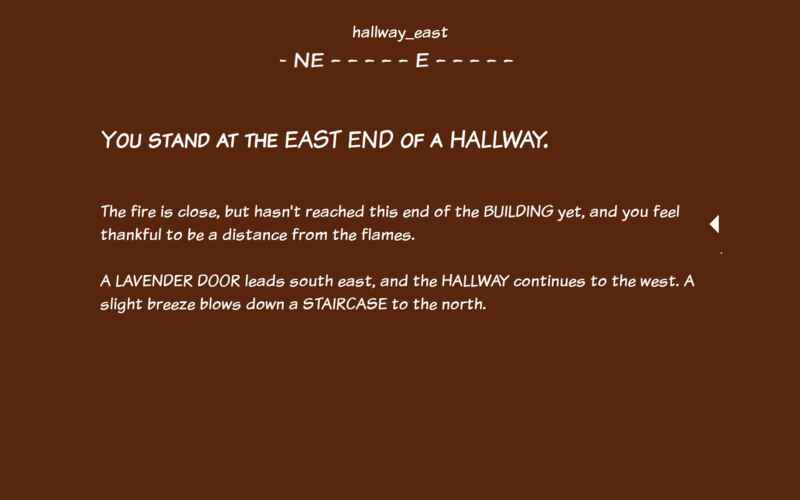 I have a soft spot for the more tongue-in-cheek text adventures, even if this isn't technically a very traditional entry in the genre. Really nice that you found the time for some spit and polish. Hey Cheeseness, what about the development of the Icicle Engine? How is it progressing? When are you going to release it? 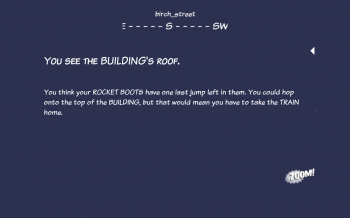 Any chance to see these games implemented for Google cardboard (Android) too? BTW, it's great to see this game improved! Sorry if I’m a bit annoying, but… I wish there was no voice on top of the readme as it prevents me from reading. It would be better if it was a simple page of text instead of a slow scrolltext, so everybody could read at their own pace and then click to go to the next page. 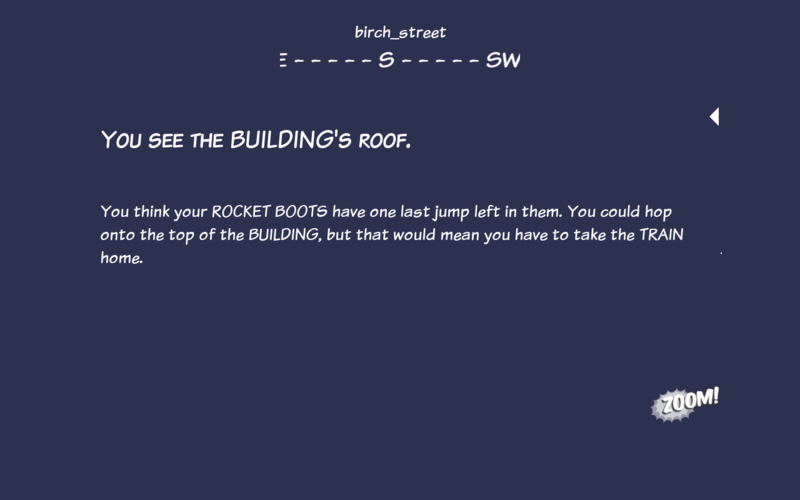 I tried playing but I’m a bit stuck at the beginning as I didn’t find how to interact with the objects in CAPS. I didn’t try for very long. Purple Pudding, I've used this update to The Spicy Meatball Saves The Day to expand some of the Icicle engine's feature set (gmepad support, improved keyboard controls, a stack of bug fixes - I'll be giving a more detailed look in my end-of-month Patreon update). Right now, Spicy Meatball is the best showcase of the engine's current state. I don't have a planned release date for the engine itself, but it'll likely be after Winter's Wake ships. I am inviting developers who're interested in using the engine to email me at contact@icicle-engine.org so that I can chat with them about their needs and consider them as I continue development. You can only interact with the "objects" that are described, and only when there's an interaction icon present. 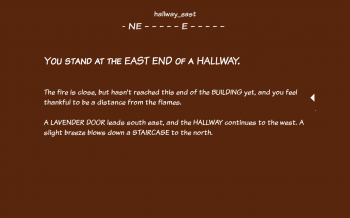 Capitalisation is used to add emphasis to narrative elements the way that effect is often used in comic books rather than to indicate things you can interact with. * Cursor keys or mouse X/Y movement will look around just like a FPS game. 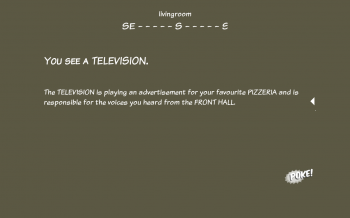 * The interaction button is Enter or Left Mouse. * You can bring up your inventory by pressing Tab. Oh ok. Thanks for the explanations. I’ll check the readme.txt. stan Oh ok. Thanks for the explanations. I’ll check the readme.txt. 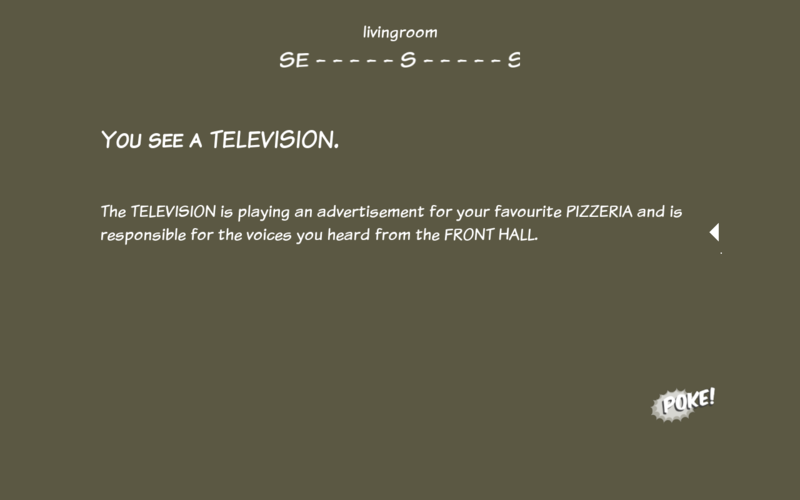 There's also an undocumented feature to pause the scrolling "cutscenes". Hold down Space if you find that it's moving too fast (for better or worse, the text speed in the intro and outro ended up far faster than I'd have liked).